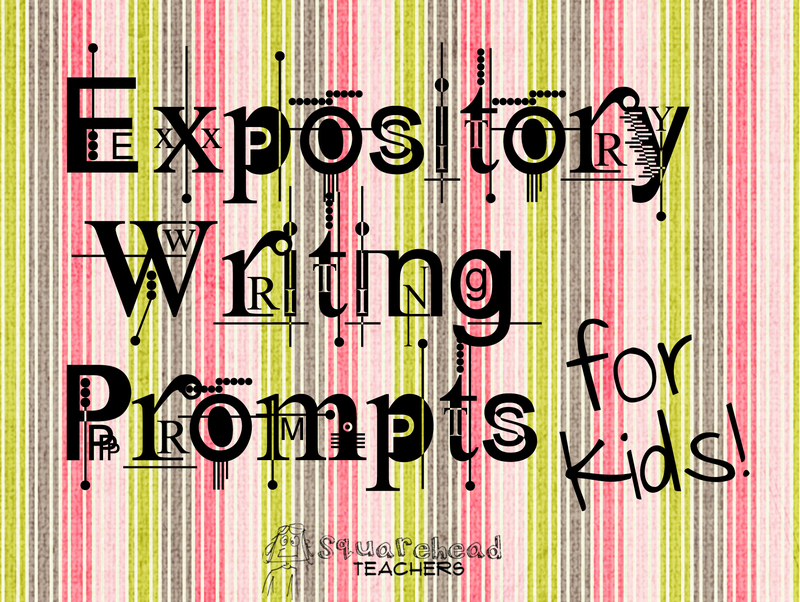 What is expository writing? Expository writing is used to present reasons and explanation about a topic in a step-by-step process. The expository essay should contain a main idea (thesis), supporting details (with transitions) and a conclusion in a logical fashion. Be sure to check your work for grammatical correctness as well! Happy writing! Explain how you play your favorite game. Explain whether you like or don’t like staying with a baby sitter. Explain/describe the smile of your mother. How do you feel when you visit your grandparents? What is the best thing about your brother/sister? Explain the best thing about your most favorite person/pet in the world. What are the good things and bad things about living in your town? Explain with logical reasons and examples. What does the phrase, “There are two sides to a coin” mean to you? Explain your feelings and thoughts when someone picks on you or your friends. Do you think families are important? Explain with valid reasons and examples. Is it important to be honest? Explain how will you strive to be a role-model for your younger siblings as well as peers. This entry was posted in Writing, Writing Prompts and tagged Children, Education, Elementary School, Homeschool, Kids, Teacher Resources, Teachers, Teaching, Writing by Squarehead Teachers. Bookmark the permalink. Wouldn’t it be “Describe” the smile of your mother? Yup. I should have said “explain what your mother’s smile looks like” or “describe your mother’s smile.” Good catch. Thanks!